The Animal Defenders Office (ADO) is a non-profit community legal centre that specialises in animal law. CHICAGO, June 18, 2008 — The American Bar Association Tort Trial & Insurance Practice Section will honor Raj Panjwani of the Animal and Environment Legal Defense Fund, New Delhi, India, with the Excellence in the Advancement of Animal Law Award. The award will be presented during the 2008 ABA Annual Meeting in New York City at a reception sponsored by the TIPS Animal Law Committee and the American Society for the Prevention of Cruelty to Animals at the Waldorf~Astoria Hotel on Saturday, Aug. 9 from 4:30 -5:30 p.m. The Excellence in the Advancement of Animal Law Award recognizes exceptional work by an ABA member or leader of an animal law committee, who through his/her commitment and leadership, has made an impact in the advancement of the humane treatment of animals. Panjwani, a leading animal law constitutional lawyer in India, is a graduate of Hamidia College where he received his Bachelor of Arts in 1973, his Master of Arts in 1975 and his Bachelor of Law in 1976. At the age of 21, he was enrolled as a member of the Supreme Court of India Bar and the High Court of Delhi Bar. His law practice since then has focused on animal welfare, environmental issues and legislation. Panjwani currently serves a vice chair of the Animal Law Committee of the Tort, Trial & Insurance Practice Section of the American Bar Association. His commitment to animal welfare has been unyielding. He has served as legal counsel for the Animal Welfare Board of India, the Committee for Prevention of Cruelty and Supervision of Experiments on Animals, the Donkey Sanctuary, World Wildlife Fund-India, World Society for Protection of Animals, Greenpeace, Bombay Natural History Society, Wildlife Trust of India, Conservation Action Trust, People for Animals, Wildlife Protection Society of India, the Goa Foundation, Toxic Links and the Orissa Wildlife Protection Society, among other organizations. Panjwani has been a member of the Labeling Committee, Government of India; Committee for Prevention of Cruelty and Supervision of Experiments on Animals; the committee appointed by the high court of Delhi for the implementation of laws pertaining to wildlife; Committee on the Delhi Slaughter House; and Committee on Stray Animals in Urban Areas. His successes as an advocate for animal rights include: protection of the Olive Ridley turtles rookeries; installation of turtle extruder devices in fishing; restriction of fishing during turtle mating season; prohibition on ivory trade and seizure of illegal ivory stocks; prohibition of trade in furs and skins of endangered wild; prohibition of the manufacturing and sale of shahtoosh shawls from the wool of the endangered Tibetan Antelope; establishment of improved conditions for animals in circuses and mobile zoos; establishment of procedures for veterinary care of injured or rescued animals; and prohibition of certain slaughters of stray dogs; establishment of humane standards, including hygienic conditions, at slaughter houses; and establishment of land use standards for parks, to name several career highlights. The ABA Tort Trial & Insurance Practice Section unites plaintiff, defense, insurance, and corporate counsel to advance the civil justice system. TIPS is a national source of expertise in tort, trial and insurance practice and brings lawyers together to share information and speak out on issues of importance. The section has more than 35,000 members and 34 general committees that focus on substantive and procedural matters in areas across the broad spectrum of civil law and practice. For more information about the Tort Trial & Insurance Practice Section visit the TIPS Web site, www.abanet.org/tips. Editors Note: Reporters are invited to attend the presentation ceremony at the ABA Annual Meeting. Media credentials can be obtained at the ABA Press Room during the ABA Annual Meeting Aug. 7-12 or by contacting Deborah Weixl, ABA Division for Media Relations and Communication Services, at 312/988-6126 or e-mail weixld@staff.abanet.org. On site call 847/902-9019. Welcome to Lawyers for Animals’ new website. We hope it will be an informative and useful tool in raising awareness of animals’ place in law, and how you can help them. Please contact us if you have any suggestions for the new website. Unrestricted breeding, poor identification and a lack of regulation of pet shops and ‘backyard breeders’ are just some of the problems leading to the deaths of nearly 200,000 ’surplus’ cats and dogs in Australia each year. Call for ProposalsThe Animal Law Section is pleased to partner with the Journal of Animal Law and Ethics at the University Of Pennsylvania School Of Law to publish the articles, commentaries, or papers for the first-ever regional Mid-Atlantic Symposium on Animal Law. The symposium will be hosted by the Animal Law Section of the Maryland State Bar Association, in conjunction with the University Of Baltimore School Of Law and the University Of Pennsylvania School Of Law. The Impact On & Opportunities For Animals in the Current Political and Economic Climate will be on Friday, April 9, 2010, from 8:30 A.M. to 4:30 P.M. at the University Of Baltimore School Of Law. The charge of the Committee is to build and establish an MSBA Animal Law Section that will provide a forum for the open exchange of ideas about legal issues that concern the treatment of all animals, the protections afforded to animals, and the rights and responsibilities of persons who have an interest in animals. The purpose of the Animal Law Section will be to facilitate the development of good legal practice in animal-related issues by providing educational programs and resources and by participating in the legislative process. 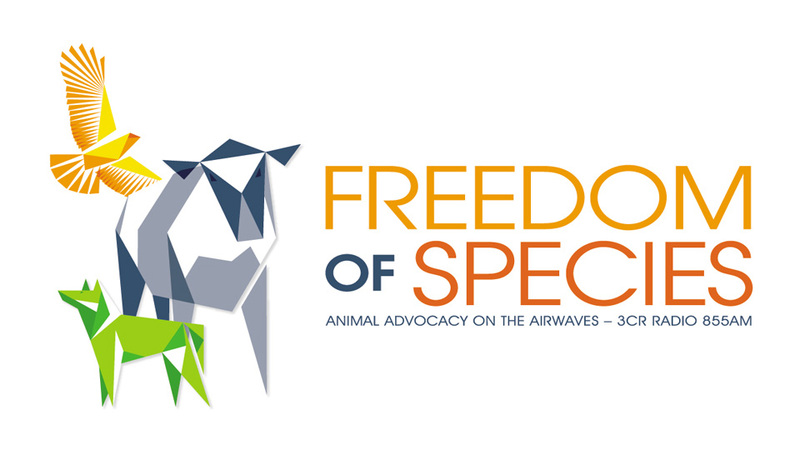 The Abolitionist speaks with Chair Angela Radich on animal rights and the law in Australia. Angela Radich is Chair of the NSW Young Lawyers Animal Law Committee, a group of lawyers and law students interested in the legal issues associated with animal advocacy. Angela is also a senior associate at a top tier law firm. Antoine Goetschel’s job as animal welfare attorney in Zurich is not only unique in Switzerland – it’s also a worldwide first. Zurich’s pioneering work in this area could soon be adopted by other cantons. Goetschel tells swissinfo how Switzerland is among the most progressive countries when it comes to protecting our feathered and furry friends. Working for the canton of Zurich, the lawyer acts in court cases and in criminal proceedings on behalf of abused animals. Discussions have recently been held by parliamentarians about introducing the Zurich idea into federal legislation. Goetschel, a vegetarian, has held the part-time post since November 2007. He is also one of the founders of the Zurich-based Foundation for the Animal in the Law, which has the largest public library of texts on animal welfare law and animal ethics in the German-speaking world. swissinfo: What does the work of an animal welfare attorney involve? Antoine Goetschel: I have about 150-180 cases per year. I’m informed from the start of the investigation into the case and I can see whether special exams, proofs and witnesses have been made or asked. If not, I can influence this procedure. When the case comes to court or to a decision I can suggest the punishment by comparing it with other cases. As the animal welfare attorney, and in collaboration with the Foundation for the Animal in the Law, I have access to information on every court case and every criminal case decision concerning animal welfare and ethics in Switzerland. This allows me to say a case looks similar to another one and there, the punishment was SFr800 ($715). This is a more serious case, so the punishment should not be under SFr2,000. Working on this with a warm heart, but not showing too many emotions, we cooperate very well with state attorneys, the courts, police and other offices and I feel we are accepted as experts in the field. swissinfo: Can you describe a typical case? A.G.: Overall, 60-70 per cent of cases are of mistreated dogs – dog abuse cases are quite common, not always by the owners but also by third parties. I also have a case where a person was seen mistreating horses. We had four witnesses but the state attorney at first didn’t want to listen to the witnesses because he thought the case was not proven. We won an opening of the investigation in court and these witnesses have now been questioned and the person has gone to court. swissinfo: There are discussions about having animal welfare attorneys across the whole of Switzerland, but the government is not so keen. Why? A.G.: The government is protecting the cantons which are each responsible for their own application of animal welfare legislation. So it is not being visionary at the moment. But there is some support in parliament and the move could still be implemented in Switzerland within the next few years. swissinfo: Would you nevertheless describe Switzerland as being at the forefront of animal welfare legislation? A.G.: It depends what you compare. We have just changed our animal welfare legislation and this could be said to be among the leading laws in Europe, with Germany and Austria and the Netherlands. We have changed the legal status of animals in Switzerland, as has also been done in Germany and Austria, and a bit in France. The Swiss law goes a bit more into detail. For instance, it protects animals in divorce cases, meaning they cannot be seized. On the other hand, there’s a legal right to keep animals in apartments in France, but not in Switzerland. If you compare this, then we have interesting aspects in Switzerland and interesting aspects in other legislations. swissinfo: You have been researching the situation in other countries for a publication. A.G.: We compared 18 legislations worldwide from Argentina, Japan and China to Britain, asking the same 18 questions. The goal is to motivate politicians and legislators interested in animal welfare in one country to adopt a good legislation from another country. For example, it could be interesting for Britain to have animal welfare lawyers because it is where animal welfare legislation started in 1824 and it gives the impression of being very animal friendly. swissinfo: Are the Swiss a nation of animal lovers? A.G.: Looking back into Germanic history, before the 1930s and especially in the Middle Ages, people had a closer relationship to animals so it is not astonishing that Germany, Switzerland and Austria are progressive here and are pushing European legislation forward. Through this Switzerland is becoming increasingly known as animal welfare friendly. I had the honour of helping change the Swiss constitution in 1992. Switzerland is now the only place worldwide which protects animals’ dignity both in the constitution and in legislation. It encourages other states to look at Swiss solutions more closely. swissinfo: What was your motivation for becoming involved in animal welfare? A.G.: It started in 1986 quite by chance when I was asked to write on its legal aspects. I realised the importance of animal ethics as far as animal experiments were concerned, for vegetarianism, farm animals and so on. During this time I was not allowed to speak for ten days because of an operation. For me it was deep personal experience, this deprivation of expression, because I like talking a lot! I felt solidarity to especially farm animals which are not able to express themselves and I looked at animal welfare with new eyes. swissinfo: Animals are for you…? A.G.: Animals for me have a soul and intelligence that is not being seen appropriately by human beings and are a special life form, just as humans are. For me it’s a question of solidarity to protect their interests, lives and wellbeing just as it is important to protect the environment, abused children and so on. He has also stated since taking on this role that the biggest challenges he faces are hard hearted judges and state attorneys, stubborn farmers, selfish pet owners. And politicians that lack vision. Type of Practitioner: Sole, in fulfilling official duties.